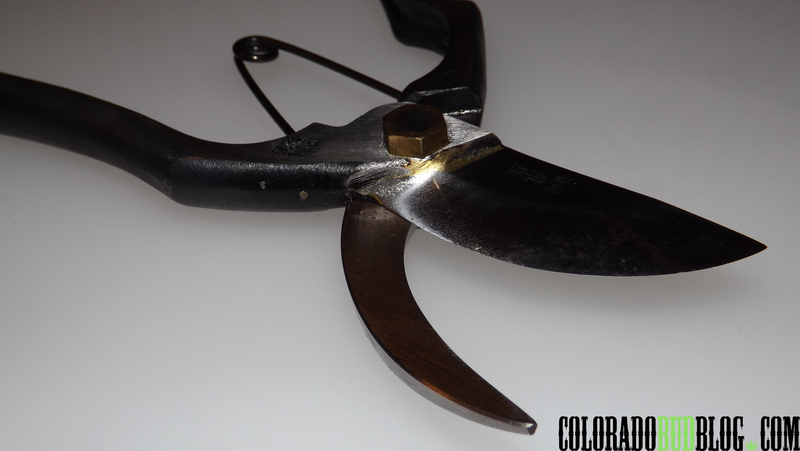 Show your ladies that you’re a real prune master with the Pruner’s Kit from Harvest Snips. 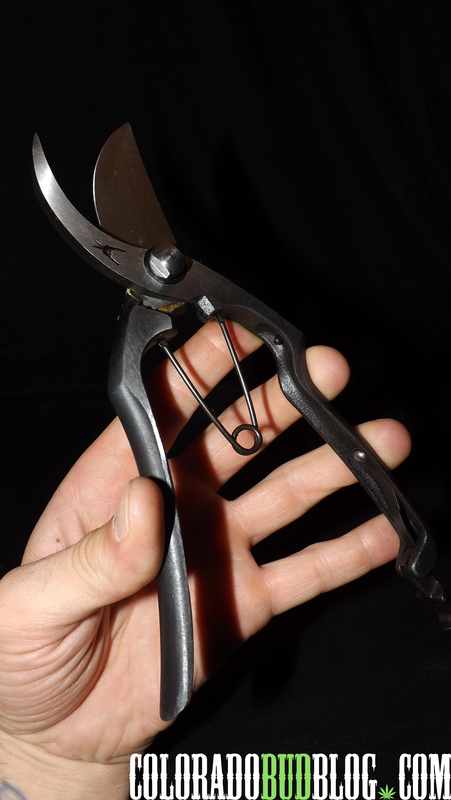 The Pruner’s Kit comes with one pair of Needle Nose Pruning Shears and a pair of Bypass Pruners. Both pruners are hand-forged in Japan from 100% high-carbon steel, making them extremely strong and sturdy. 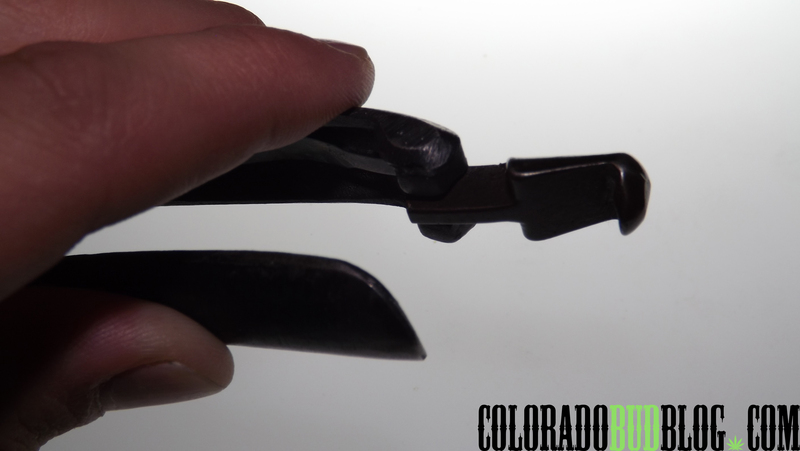 The Hand-Forged Needle Nose Pruning Shears measure 180mm (about 7 1/4″) in length, so they fit in your hand perfectly. They have a slightly wider grip than the average pruning shear. 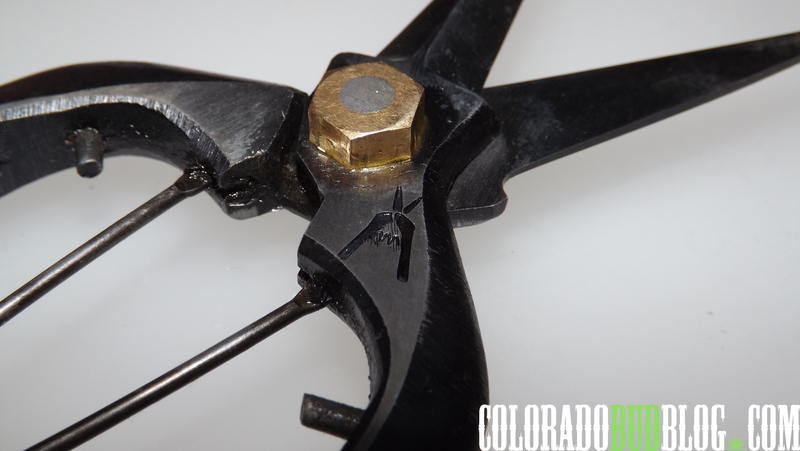 Both the Needle-Nose Pruners and Bypass Pruners are imprinted with the Harvest Snips logo. 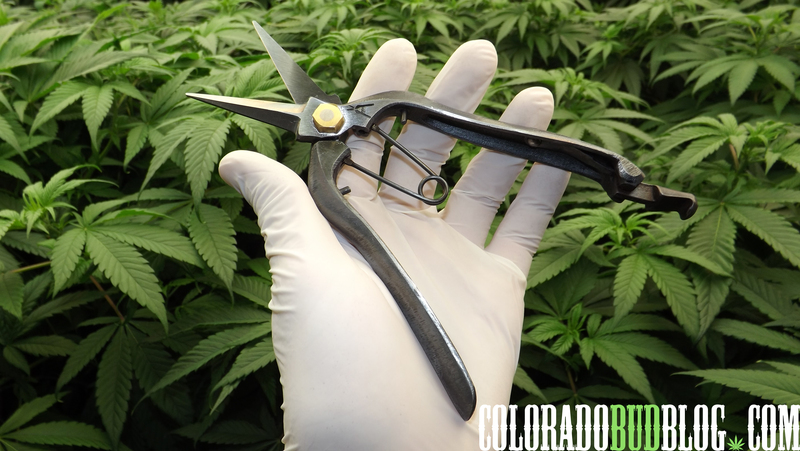 The blades are as sharp as a Samurai sword, resulting in a much cleaner cut, which means less stress to the plant. 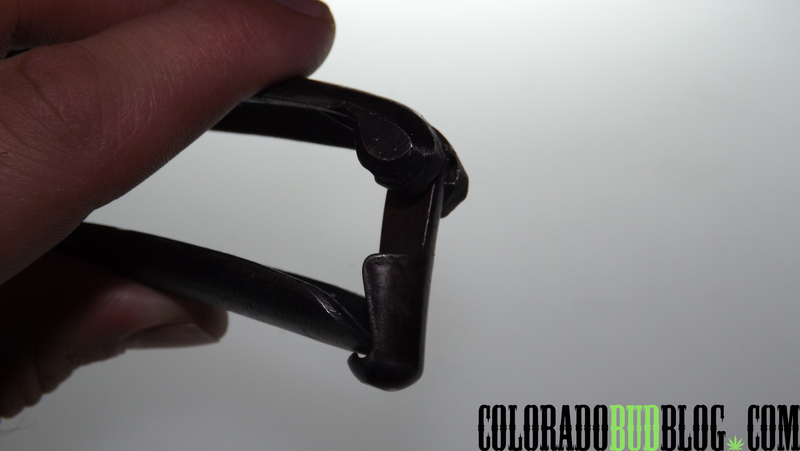 The blades are extremely sharp, so be careful when using them! The high-carbon steel allows you to sharpen the blades over and over again. 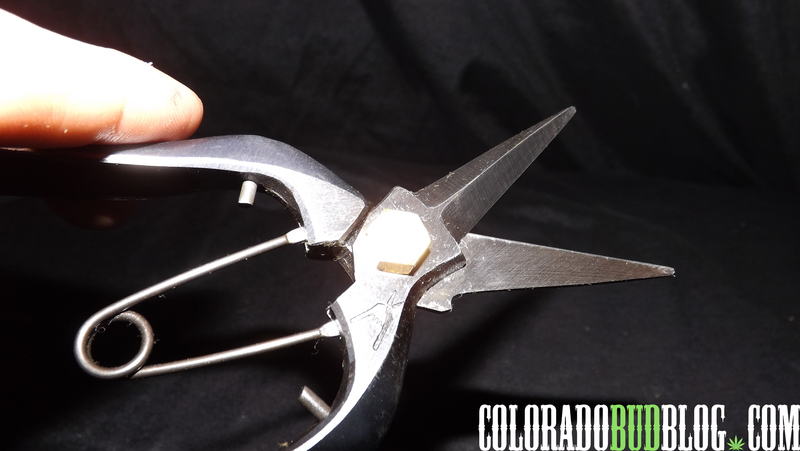 The Needle-nosed pruners can tackle a number of different jobs with ease, including pruning, cloning, topping, trimming, and general chopping. The long needle-nosed blades make it easy to reach tight spaces. They easily chop through larger, thicker branches. 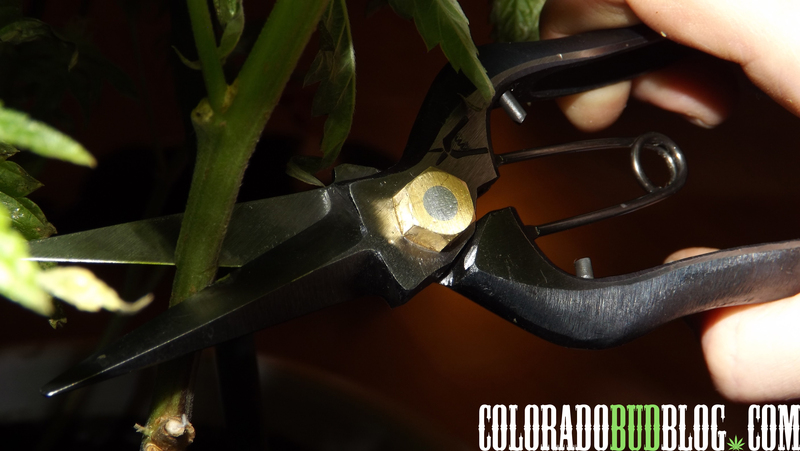 Even though they are pruning shears, you can even use them to trim, although you will need to keep them very clean and oiled up in order to trim with them for long periods of time. 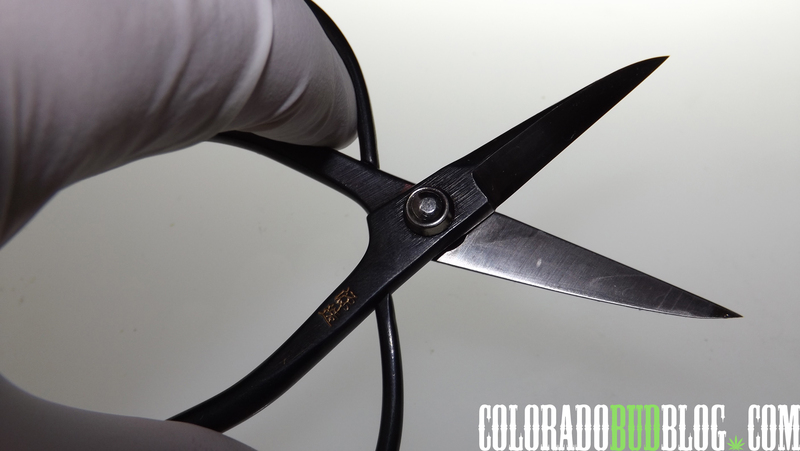 Heavy-duty steel clasp makes sure your shears stay closed when not in use, and therefor, preserving the sharpness of the blades. 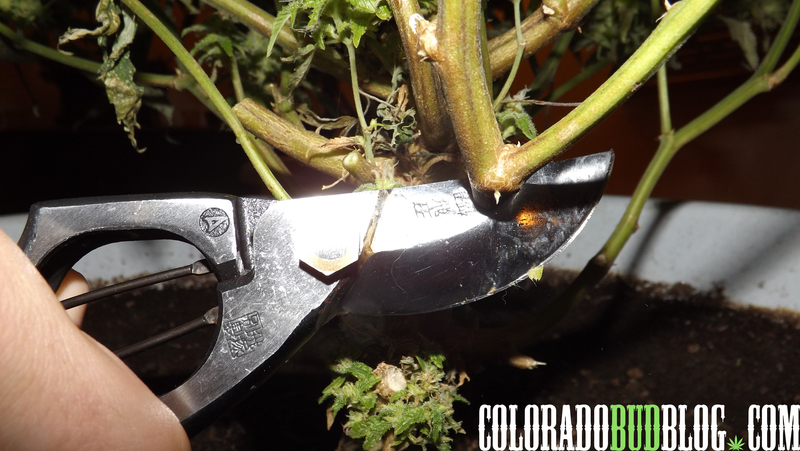 The Needle-nosed Pruners have become an essential part of everyday life in the growroom for me. I now refuse to use any inferior pruning shear. The Bypass Pruners are for chopping down larger branches and plant stalks. They are about 8″ long, and their wide-grip allows you to the really follow through with your cut. The shape and sharpness make the Bypass Pruners the ideal choice for serious pruning and chopping. Chopping through thick branches is effortless. 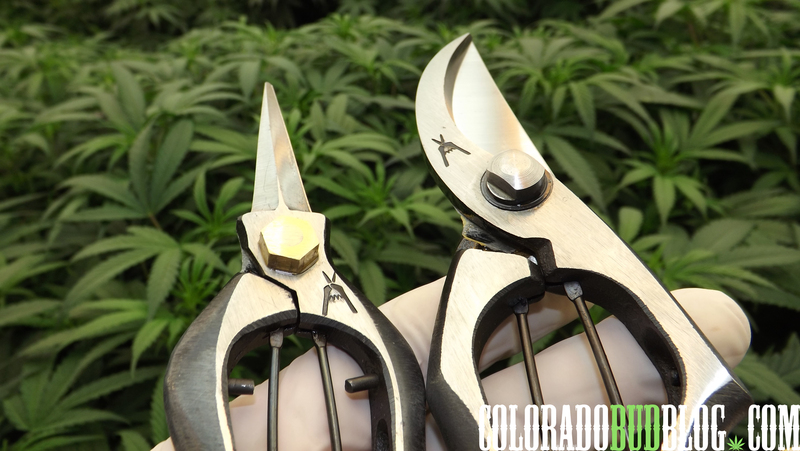 The Pruner’s Kit has become a pretty essential part to everyday life in the growroom for me. 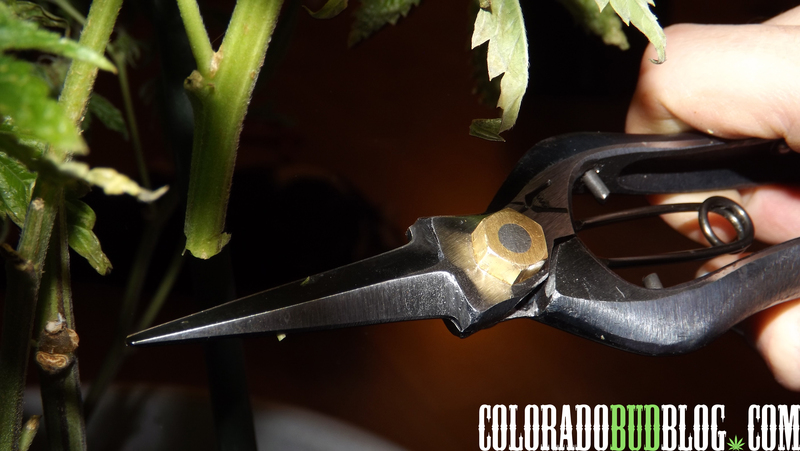 No more damaging plant tissue by using cheap shears! These things make for the smoothest, cleanest cut, and as long as you take care of them properly, they will last many years. I make sure to keep mine clean and always oil them up after I use them. I have been using mine everyday for the last 2 months and I haven’t even needed to sharpen them yet, so they are very durable. It is safe to say I will be using the Pruner’s Kit for many years to come! 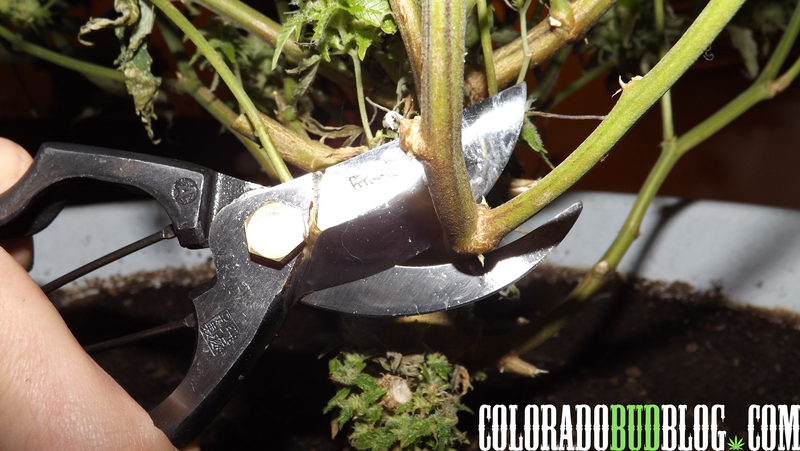 Be sure to get your own Pruner’s Kit from Harvest Snips at http://www.HarvestSnips.com, and make sure to use the coupon code ColoradoBudBlog at checkout for 20% off your entire order! 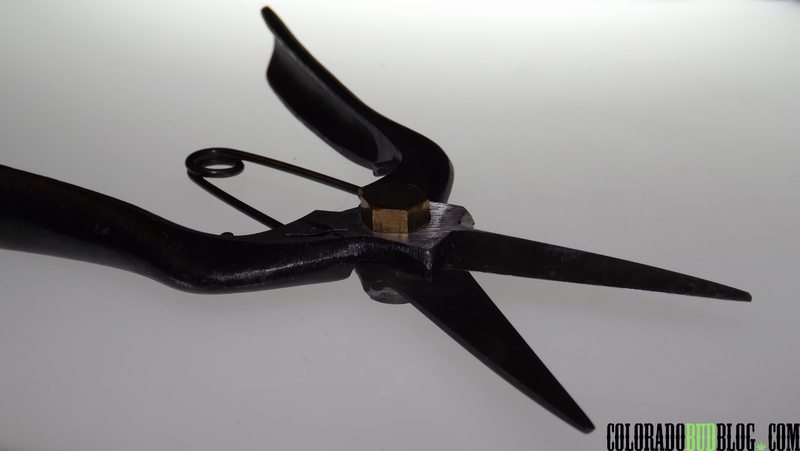 Keep your eyes open for more reviews on products from Harvest Snips, like the Hand-Forged Precision Snips (pictured above). Make sure to check out http://www.HarvestSnips.com!